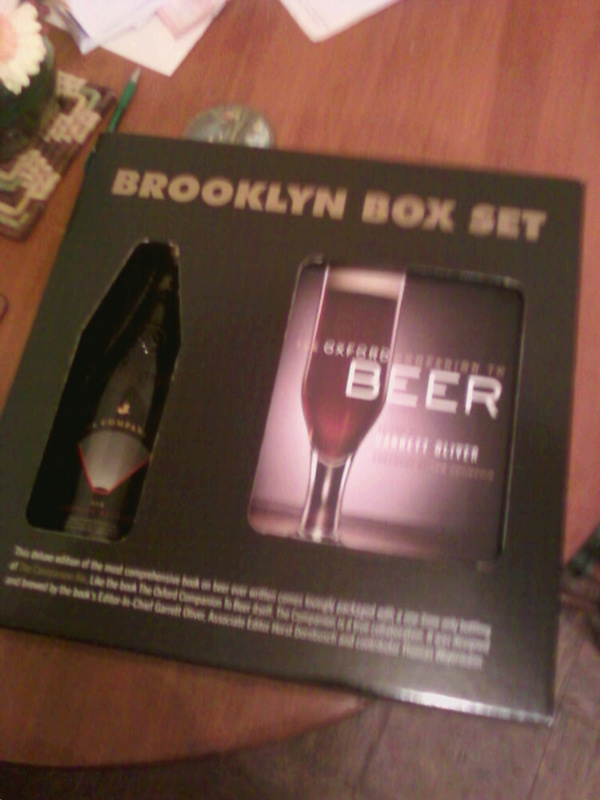 So remember when I put the Brooklyn Box Set from the Brooklyn Brewery on my Wish List? Welp, for my Birthday I got it. HUGE thanks to my parents for purchasing it, Melissa “Glukkake” Dowell for picking it up at the Brooklyn Brewery’s store and to the wonderful fella Alan Tyson for picking it up and driving all the way to Toronto to hand it off and celebrate the day I emerged from another human screaming, naked and covered in blood 27 years ago. While I’m going to TRY and save the Companion Ale for a special occasion, I can say that the book is quite amazing and very detailed. I love that so many experts put their experience in to this and can’t wait to actually learn more about this stuff so I can gain a deeper understanding in to the world that I love and…okay, so I can repeat it at parties. YOU CAUGHT ME. Next Post Who Am I & What Do I Think I’m Doing? I trust you’ll be brewing a batch of Companion for the next Whitechapel bash. Probably not, since rare malts were used and I have no idea how to brew it (yet)!